Missouri Education Watchdog: Common Core Math Taught to an 8 Year Old. House Bill 616 was heard early today in Jefferson City and pro CCSS folks testified how wonderful and clear and concise the new standards are. Missouri is beginning to implement them in classrooms so the results of using the new standards are difficult to measure. Since a big attraction for some teachers and administrators is that the standards/assessments are all the same across state lines, maybe those proponents might just want to read the story below about an actual CCSS math problem encountered by a third grader in New York and think if this wonderful and clear and concise set of standards will actually raise student achievement. Such standards might not raise achievement, but rather, frustration and a distaste for math. If this is a typical day in the life of a child in math class, it's no wonder CCSSI puts a disclaimer on its standards so it can't be sued if students don't reach proficiency levels. My daughter -- a bright, fun-loving 8-year-old who isn't easily rattled -- was reduced to tears in school yesterday. Apparently, while working on a math lesson involving fractions, she wasn't "getting it" the way that she thought she should, and her frustration mounted and her eyes welled up and, later, when her teacher talked to her in the hallway on the way to gym class, she lost it and she cried and cried. I know this because her teacher -- a committed professional who does wonderful work with her class of third-graders -- cared enough to call us at home to tell us. When asked, she said that lots of kids were feeling frustrated by this particular lesson. 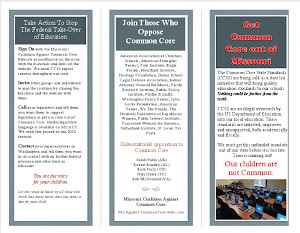 The reason, we learned, is New York's recent embrace of the "Common Core" that has been adopted by 46 states. It's the latest experiment put into place by educational policy experts who continually jockey to get the newest big ideas into the classroom. When I first heard about the Common Core, I was excited. Many of the college students I teach are unprepared to do the kinds of textual analysis and critical thinking that I expect of them, and what I had heard about the Common Core made it seem promising. One article that I read in The Atlantic made it sound, well, revolutionary. Maybe it will be. 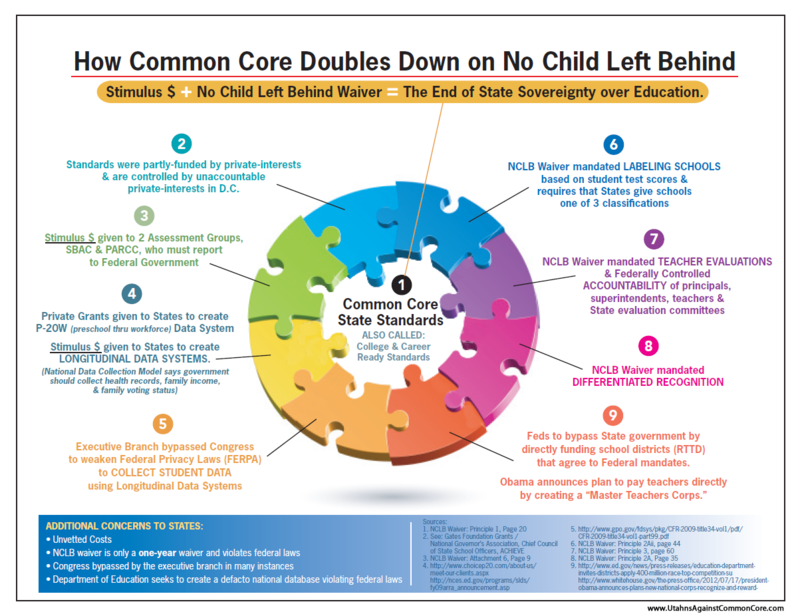 The Common Core might turn out to be one of the best reforms in K-12 education in decades. It's all still pretty new and its cumulative impact on the intellectual development of students might turn out to be a great thing. What I know right now, though, is that it is asking third graders to approach math in ways that seem terribly unsuited to them. I don't just mean things like the worksheet that included a rectangle divided into six sections with written instructions asking students to shade one-fifth of it. No, I'm not talking about the typographical error on an official New York State Common Core third-grade math worksheet, though such a boneheaded mistake does little to inspire confidence. What I mean by math problems unsuited to third-graders are ones that go something like this: Two kids are served brownies. One kid, "Julian," eats one-half of a small brownie and the other kid, "Debbie," eats one-eighth of a big brownie. Julian claims that he ate more than Debbie (because one-half is more than one-eighth). The students are asked to explain why Julian's claim is false, using words and pictures, and then use words and pictures to make that supposedly false statement into a true statement. I guess that what the students are supposed to realize is that because the brownies are different sizes (though what kind of adult would cut unequal-sized brownies for kids? ), one-half isn't necessarily bigger than one-eighth. That's true, but without knowing the size of each brownie, there really isn't enough information to determine which brownie piece is bigger. Maybe Julian really did eat more than Debbie. More to the point though, is this question: How in the world is that problem supposed to help a third-grader learn fractions? Third-graders are concrete thinkers and they are just learning the basics of fractions. Why throw in a poorly-written word problem that asks them to explain an abstract concept such as the idea that one-eighth of a larger whole may be bigger than one-half of a smaller whole? Until they fully understand the basics of halves and eighths -- and unless there is a picture showing the relative sizes of each whole -- such abstractions only muddy the waters of learning. Then there is the problem of dividing a "whole" into two "halves," calling each half a new whole, and then asking the students to divide the new whole into new halves. My daughter looked at the problem and she knew that she wasn't seeing two new wholes. She was seeing two halves of the original whole that still stared back her from the page. More insidious still is a worksheet that seems determined to confuse students by its use of two very similar sounding, and similar looking words. The instructions for Column A read: "The shape represents one whole. Write a fraction to describe the shaded part." Below the instructions are a variety of shapes with different fractions shaded. The same shapes and shades are found in Column B. This time students are instructed: "The shaded part represents one whole. Divide one whole to show the same unit fraction you wrote in A." These third grade students are expected to keep in mind not only the lesson on fractions, but also the fine distinction between the words "shape" and "shade" in determining wholes and fractions. It's absurd. I don't know how my daughter will do in math today or in the coming weeks. I hope that with her teacher's guidance, and with the support of her mother and me, she'll make the adjustments she needs to make in order to regain her confidence in understanding the math concepts that she was already beginning to understand before the new standards and their worksheets came along. Until then, we'll just keep reassuring her that the problem isn't her ability to understand math; the problem is how she's being asked to understand math. The problem is the experimental "big idea" that she's unknowingly become part of. 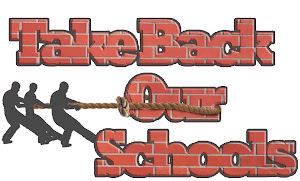 To remind our readers: per the Common Core copyright, the standards/assessments may not be changed or altered in any way. What would you do if your child came home with such a math problem?